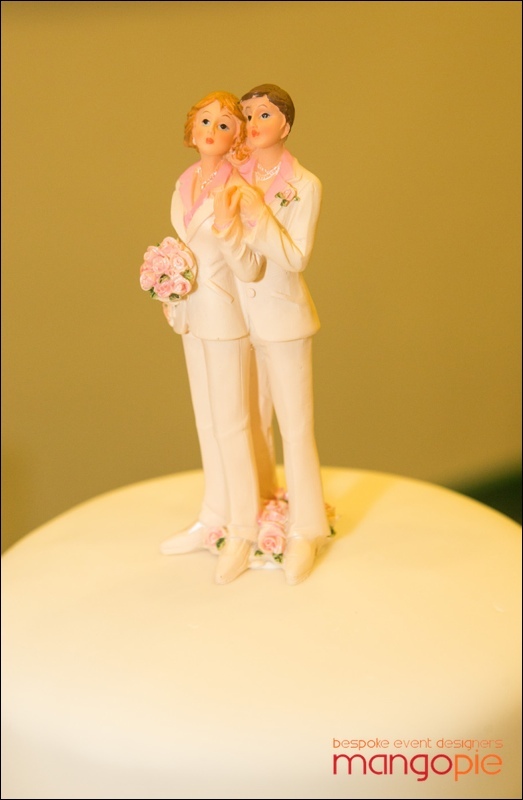 I am proud to be a proud supporter of equal marriage. 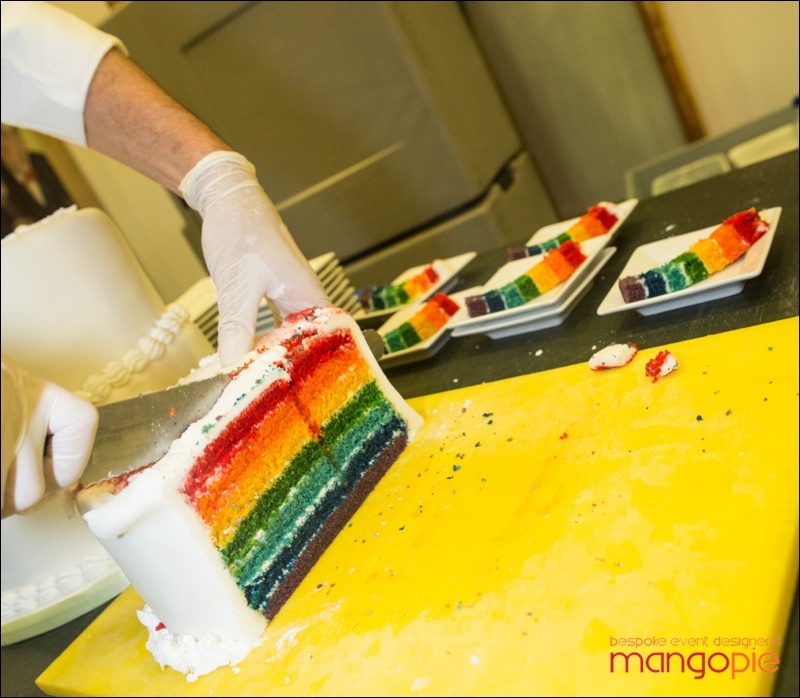 As such, I am thrilled to share these pictures of a celebratory Wedding Cake that I produced for a wonderful event, organised by the amazing Mango Pie Events. Building, stacking, doing my thing at The National Portrait Gallery. 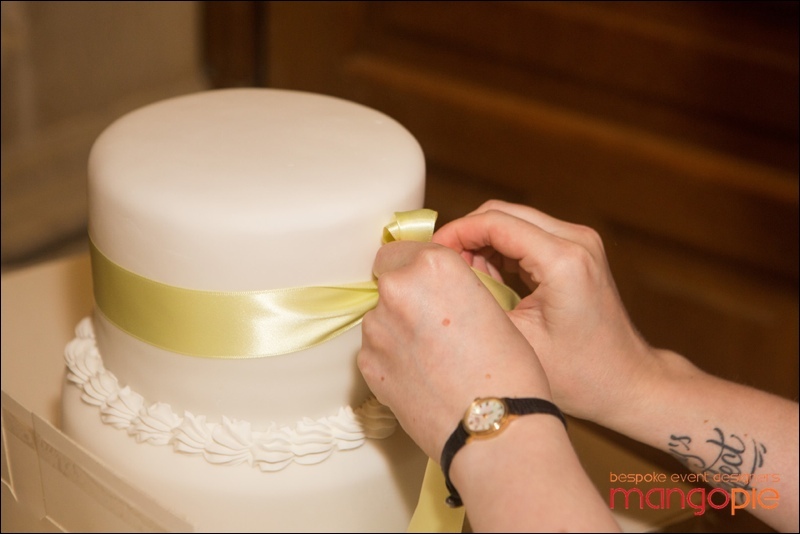 The finished cake was brilliant white, ruffled, and tied with yellow ribbons. So far, so simple, right? 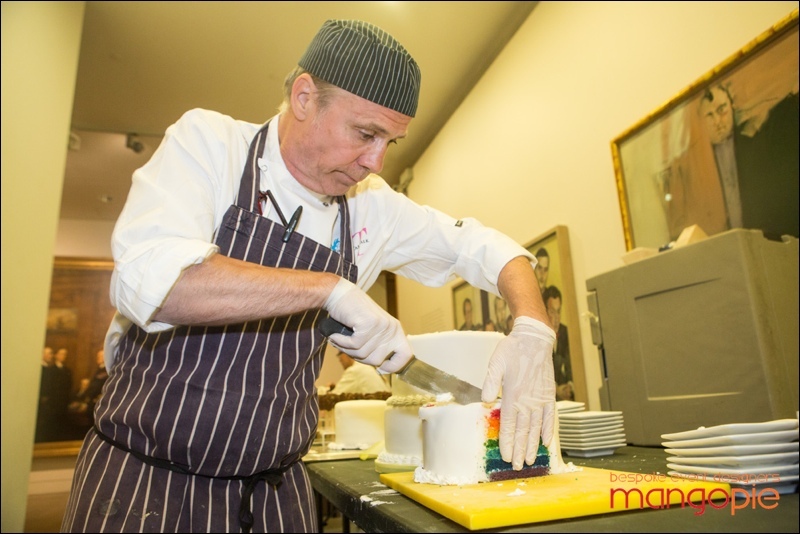 The cake itself was a simple vanilla sponge. 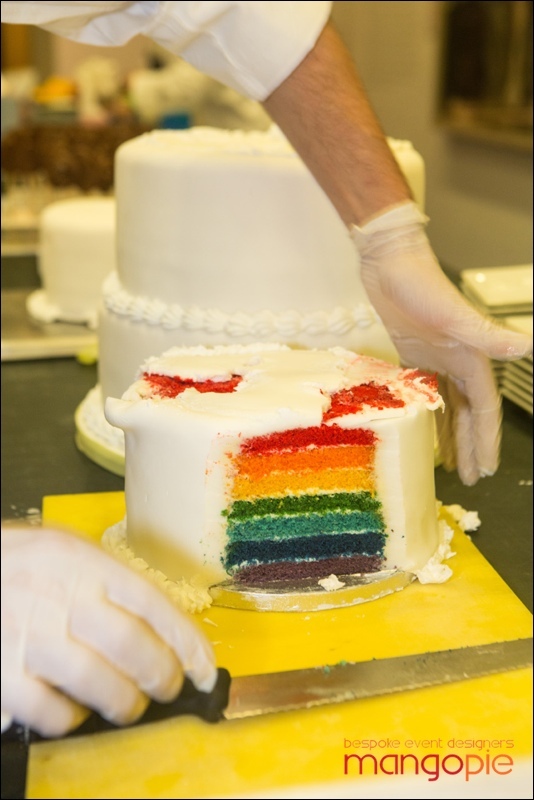 The secret to good rainbow cake is to ensure that you use the very best quality Vanilla Extract that you can lay your hands on and to up the quantity that you use in the mix. I only use LittlePod Vanilla, which is so delicious that it prevents any ‘food colour taste’. To get this intensity of colour, you will need to use professional quality paste food colours, diluted in a few tablespoons of water. 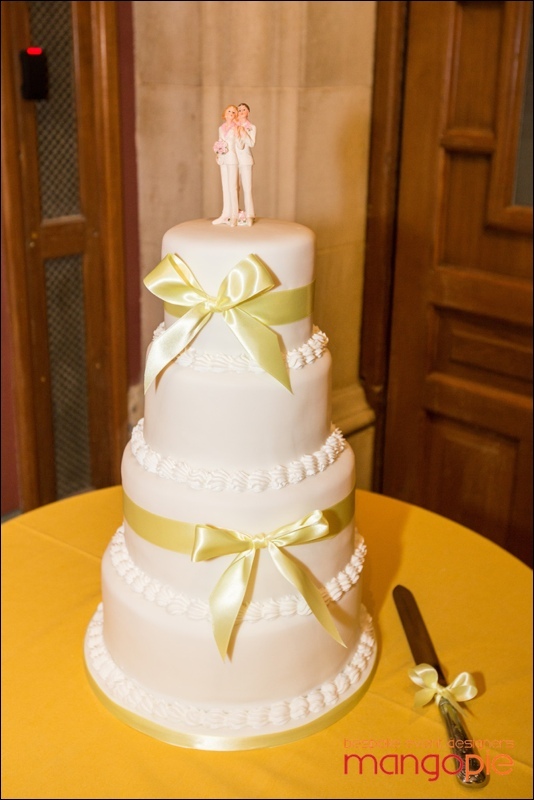 “The cake was absolutely DELICIOUS! The client was over the moon and was so surprised that you managed to create so many fine layers and yet the cake was still so moist. 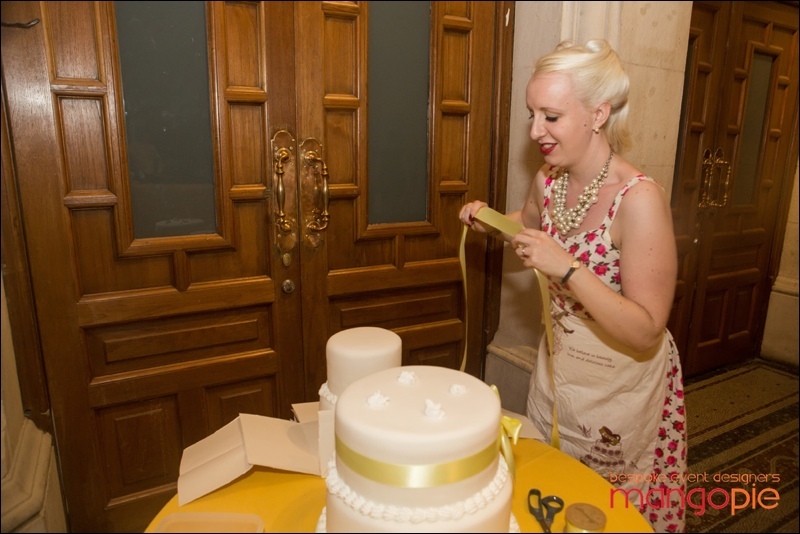 The cake was truly stunning inside and certainly put a smile on everyones face. 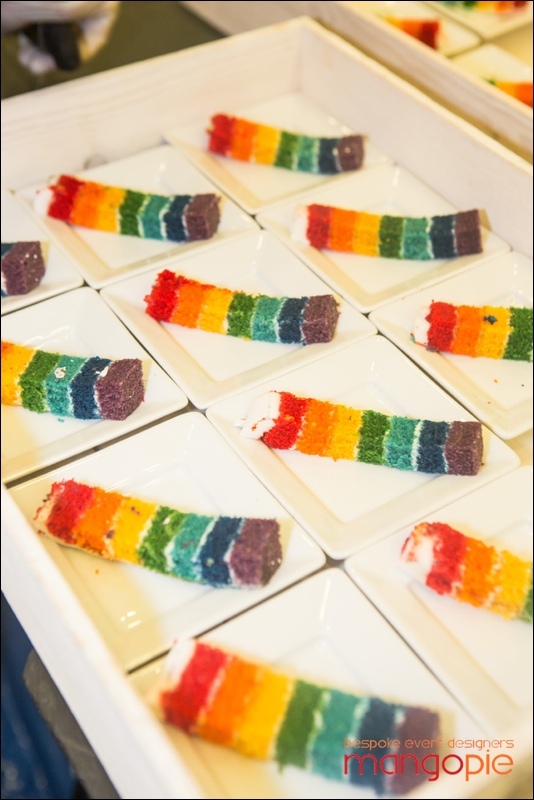 If you are looking to surprise your guests on your big day, I definitely recommend this Secret Rainbow Cake! Wishing you all the most fabulous week and a wonderfully colourful Autumn ahead. 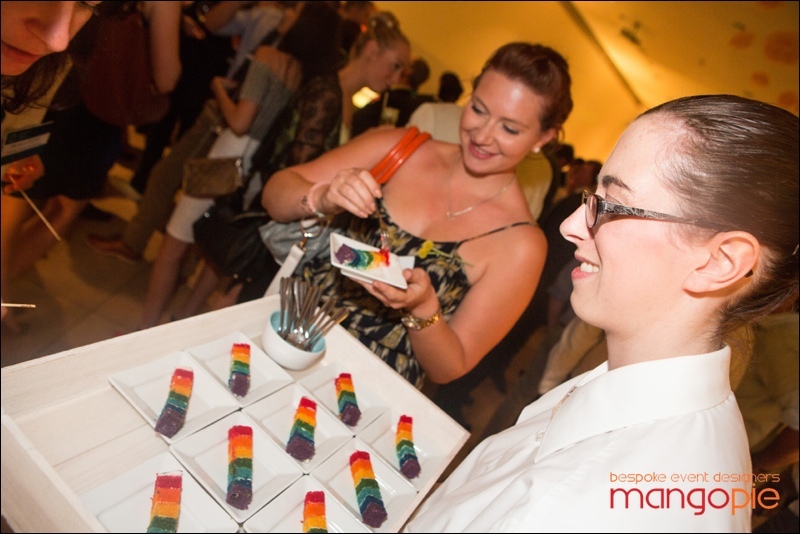 If you are planning an event with personality, please get in touch with Mandy at Mango Pie Events. I cannot recommend her team and their services enough.